The aurora borealis, also known as the northern lights, are normally only visible inside the Arctic Circle, but this wonderful light show is having stargazers in the UK in awe again as the phenomenon has returned, with the lights being seen as far as Sussex, Gloucestershire and Norfolk last night. The spectacular lights were also seen in south Wales to Denbighshire, Flintshire and Anglesey. The Northern Lights were discovered in 1621 by French scientist Pierre Gassendi, who named them Aurora - after the Roman goddess of dawn - Borealis, the Greek name for the north wind, Boreas. The aurora borealis appear as shimmering waves of colored light due to atoms in the Earth's high-altitude atmosphere colliding with energetic charged particles from the sun, after a major (geomagnetic) storm. Once you’ve seen the spectacular northern lights, with its rippling rainbow of colors and patterns you’ll be instantly hooked on this magnificent visual wonder. The best place in the UK to see the northern lights has to be Scotland. The northern reaches of the country including Shetland and around the Caithness coast as well as the Orkney Isles and the Outer Hebrides are ideal locations to see one of the magnificent light shows on cloudless skies with little light. You’re more likely to see the northern lights in autumn and winter when the northern hemisphere’s nights are at their longest and they usually occur between 10pm to 2am or further into the night. 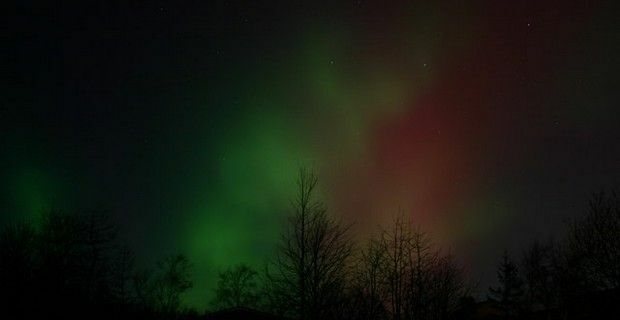 For real-time aurora alerts and geomagnetic activity for the UK you can visit http://aurorawatch.lancs.ac.uk/. If you’re an aurora-seeker you can also see the northern lights in countries like, Iceland, Scandinavia (Norway, Finland and Sweden), Canada, Alaska and Russia, while the southern counterpart of the aurora borealis, is the aurora australis(or southern lights) and they are visible from high southern latitudes in the Antarctica, South America, New Zealand, and Australia.